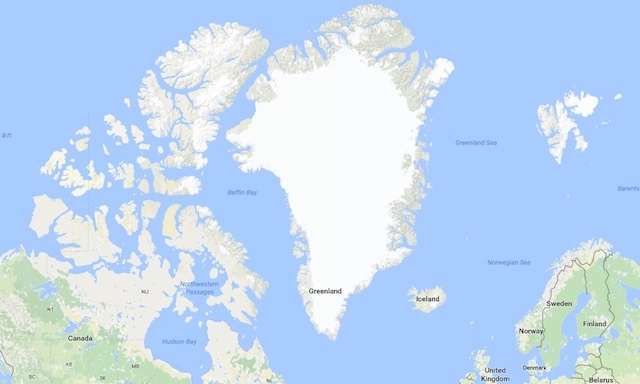 Bucket lists were pretty much invented for places like Greenland. Perhaps it is because the immense sense of magic and wonder is present in every moment of every single day. There is not one part of this experience that does not impress and excite. To reach Ilulissat, fly with Air Greenland from Reykjavik or Copenhagen to Kangerlussuaq and catch a connecting flight from Kangerlussuaq to Ilulissat, The awe starts shortly after take-off with jaw-dropping views over slushy, icy seas before flying hundreds of kilometres across a mesmerising packed-snow landscape intermittently dotted with fluorescent blue melting waterholes. The airport is tiny, a mere 5 minutes down the road from the town of Ilulissat which is small enough to fully explore in one morning. You can discover the fish market offering musk ox and whale blubber, the local school, colourful traditional wooden dwellings, a handful of shops and cafés and the supermarket. All the while you will be hearing the Greenland dogs howl inconsolably for food. Don’t be fooled though – the young ones may look cute but they would take your arm off as they exist on only the most meager of rations. 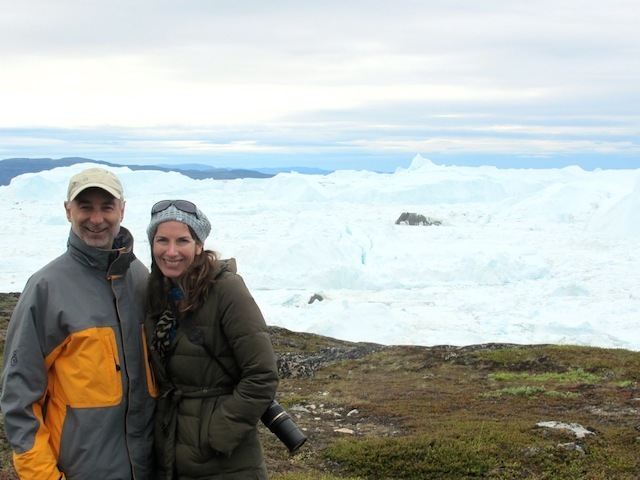 At the edge of town, the entire view of the magnificent Ilulissat Icefjord is revealed and it is absolutely spectacular. This world famous UNESCO World Heritage Listed fjord runs 40 km east from just south of the town of Ilulissat to the Greenlandic ice sheet. It is into this bay that giant chunks of ice “calve” away from the glacier and drop into the sea. 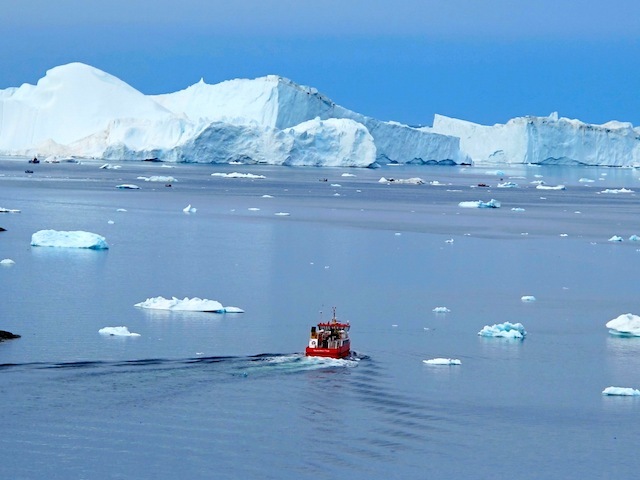 You are surrounded by jaw dropping views of icebergs from every possible angle. 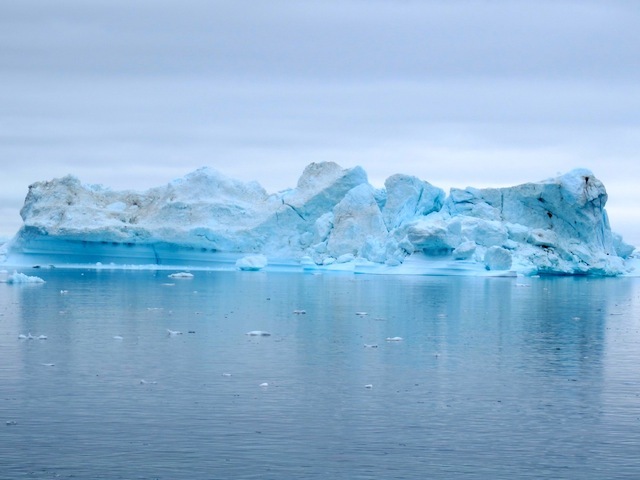 Some icebergs are so enormous they get trapped for years until they roll or have melted enough to finally break free and drift north through the Arctic Ocean. 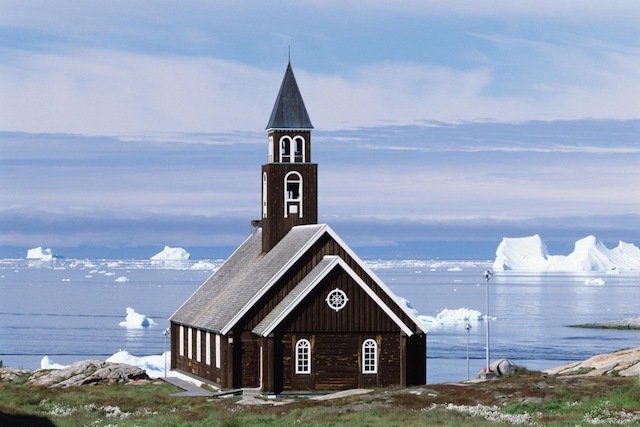 One of the most remarkable buildings is the iconic Zion’s Kirke built in the 18th century and the largest man-made structure in Greenland at the time. If the sun is shining, your photos of this church could well be worthy of a National Geographic cover. 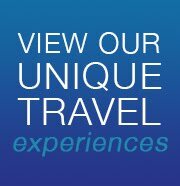 Blue Dot Travel has a three-week tour to Iceland/Svalbard with Greenland as an optional extra tour. Click here for more information.